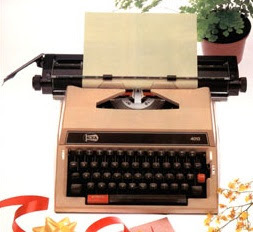 June was for large part a black month for me, with my only brother dying, a Hammond Multiplex giving me "Typewriter Elbow" (a torn arm muscle), my Typer-Wagen I being written off and weather that would freeze the testículos off a brass Spanish monkey. But there were high points, too, most notably the visit to Canberra of John Lavery and the arrival of some magnificent portable typewriters from Germany. 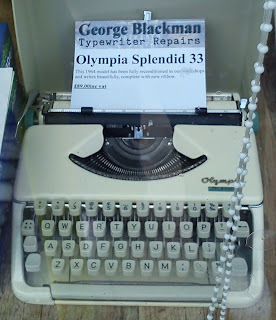 All in all, I hope I can be forgiven for being a few days late with my monthly Typewriter Update. 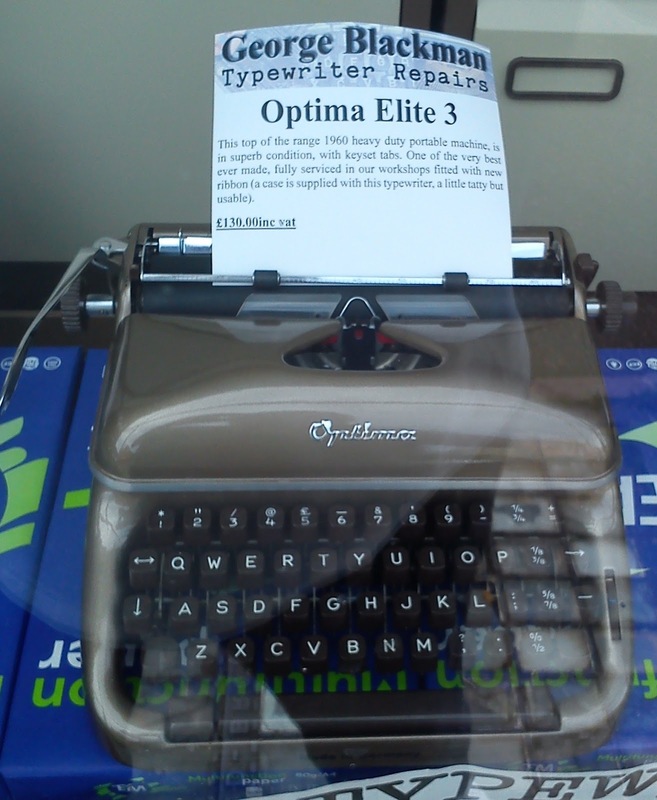 I took possession today of an Everest Modello 44 portable typewriter. 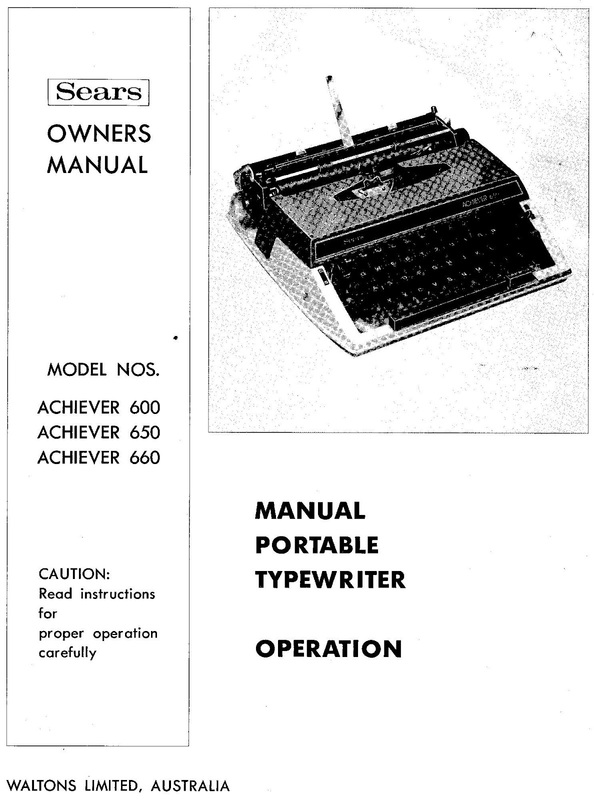 The machine is a bit of a mystery to me, as I had previously believed the Modello 90 was the first Everest portable. The various serial number guides (which date the Modello 90 from 1937) and Italian typewriter web pages indicate this is the case. 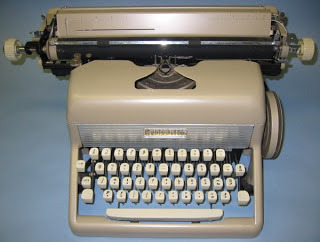 So if anyone can help me with information about the Modello 44, I'd very much appreciate it. 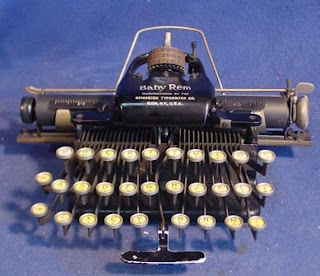 confirms that the model is a significant four-bank advance on the 1922 Juventa (also known as the Agar, Agar-Baby, Ardita, Diadema and Fidat). 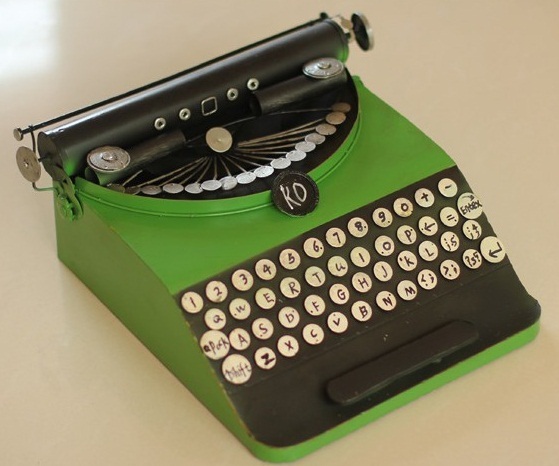 These were made by S.A. Industria Dattilografica of Milan. Production was later taken over by S.A. Brevetta Brassa (also Milan). 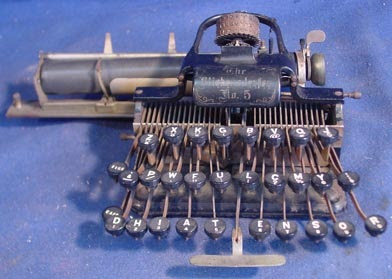 An improved typewriter appeared under the name Sabb. 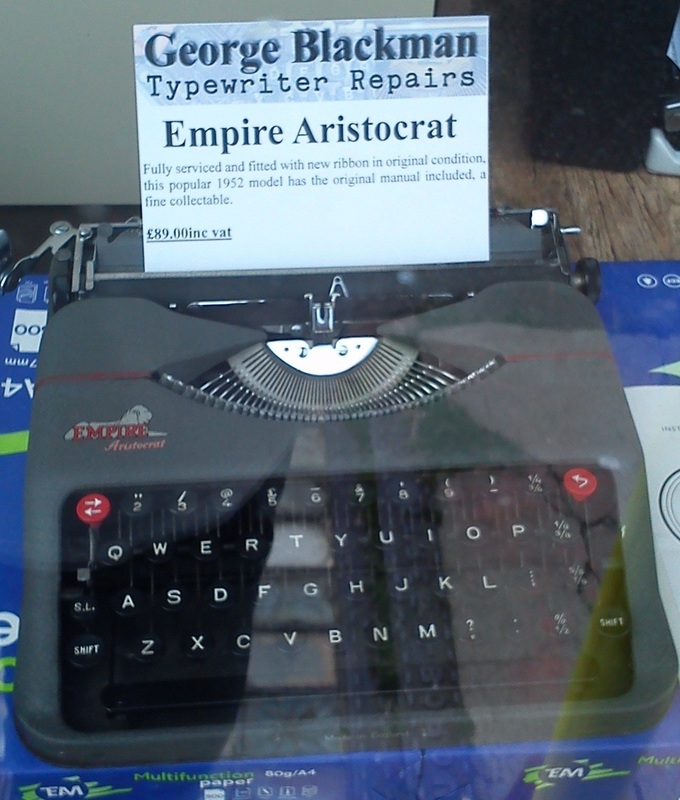 There was a four-bank Sabb, which became the Everest in 1931, apparently marketed by A.u.G. Carisch & Co of Milan. Later the manufacturing company was Serio SpA, Milan (which made this Modello 44). 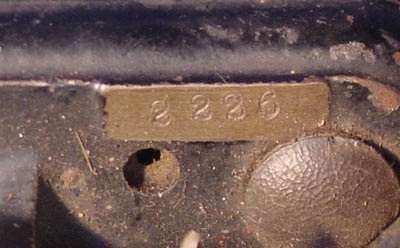 The serial number 27524 fits into the Modello 90 sequence for 1937. MYSTERY NAKAJIMAS, OR ARE THEY NIPPO? Isn't it odd the way one can come across a "new" (as in previously unseen) typewriter, then within days sees four or five similar machines bob up? 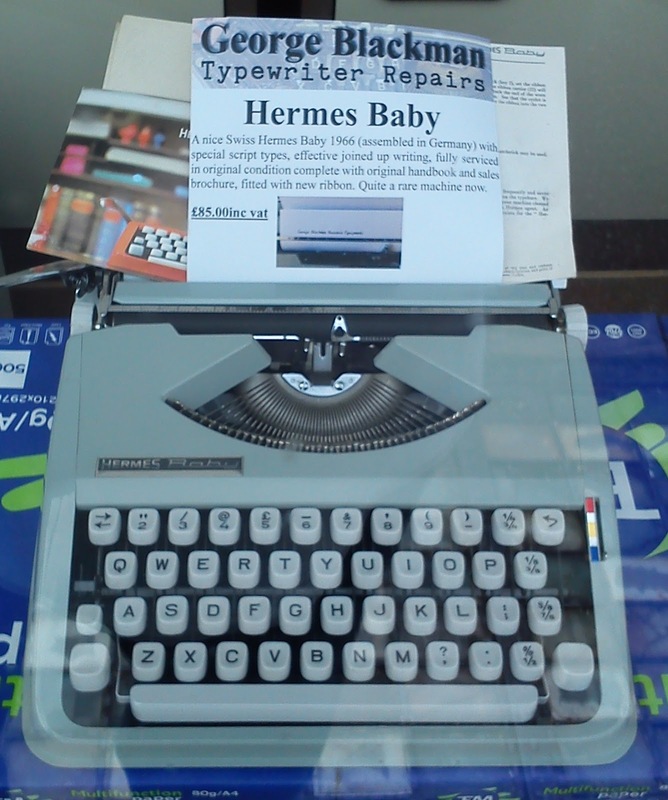 Not that seeing further examples necessarily answers questions about the typewriter's true origins. Anyone know anything about these models? Please note the very distinctive back space key and unusual ampersat (@) on all five models, including the Quality. 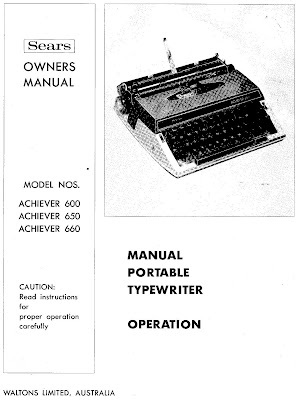 Followers of this blog will know that for many years I had tried in vain to unearth the true story behind Imperial marketing a portable typewriter which had been designed for Torpedo. A Brisbane woman who emailed me about a Regent she owns finally unlocked the mystery. The conclusive evidence is clearly written in a decal across the back of her Regent. 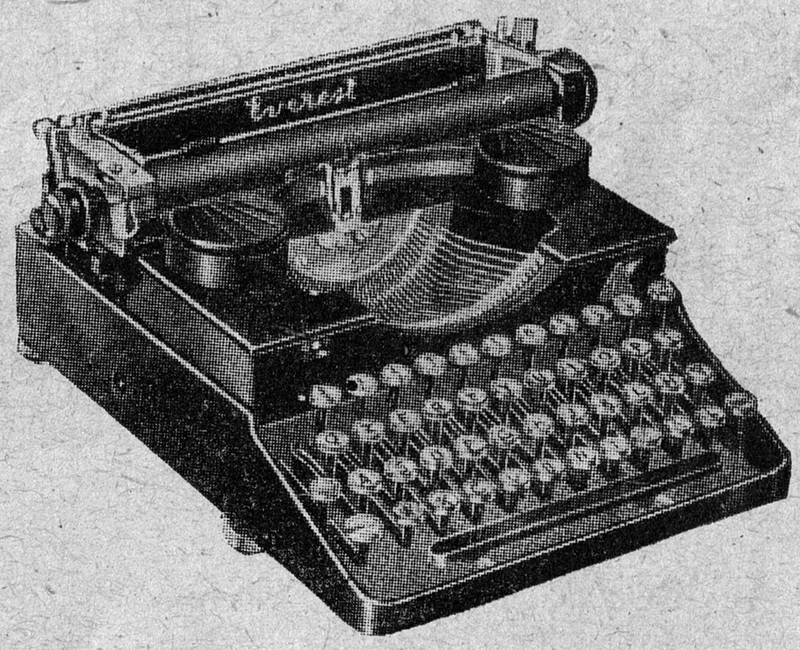 It turns out the Regent was assembled by Imperial in Leicester, England, from parts made by Torpedo in Frankfurt am Main, Germany. The model was sold in Australia by Chartres, which was the agent for Remington, which owned Torpedo. 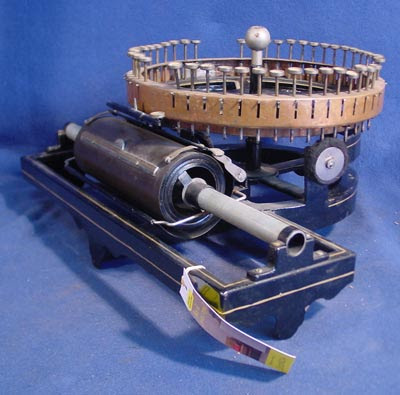 Derrick Brown in Brisbane needs some help tracking down a replacement escapement unit for a Royal Model O. The model he has has a broken loose dog. "The rest of the machine is in great condition so I don’t want to wreck it." 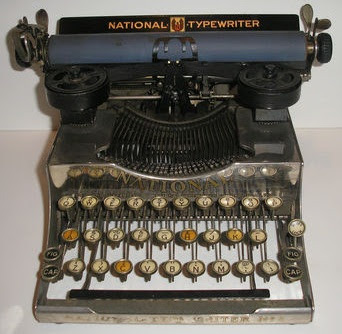 In the exchange of emails relating to a possible face-to-face of "old school" typewriter collectors and the "new breed" of Typospherians during the International Typewriter Collectors Convention in Milwaukee from August 10-14 next year, I was taken by some of the "new" (at least to me) terms used. 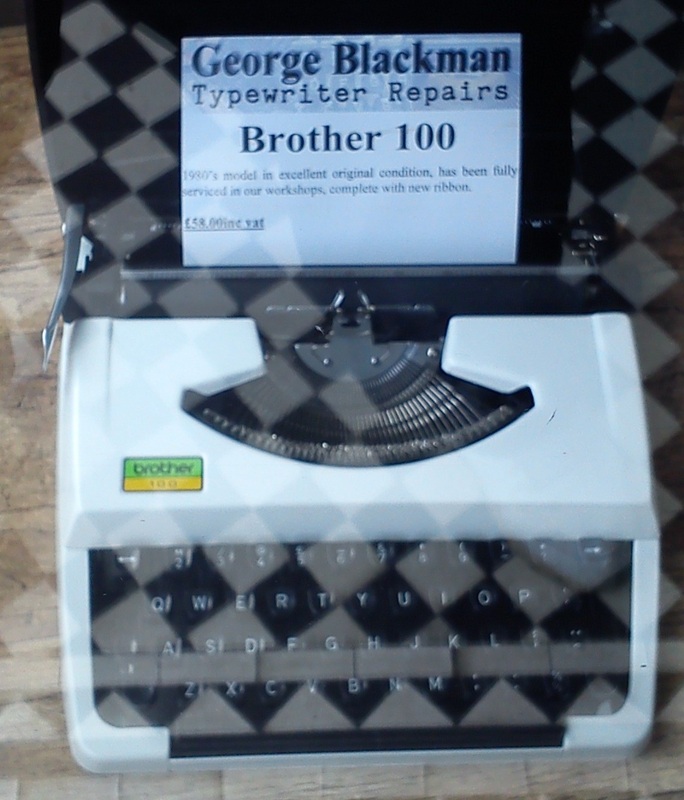 My favourite was definitely Norbert Schwarz's "Typosaurian". 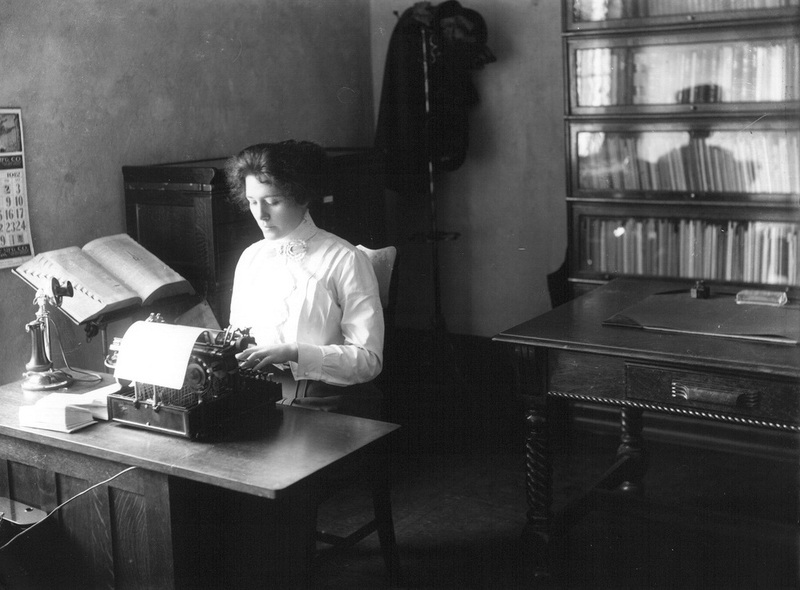 There has also been reference to the "Typewriterati". When the possibility was mentioned of some members from both sides linking up through, say, Sykpe, one of our friends related his experience of being a "remote peeker" in a similar streaming exercise. The most amusing interlude, however, concerned Dutch Typospherian "Spider" being called a "gentleman". "Yes," Spider promptly replied when Jos Legrand pointed out she was female. "I am indeed no gentleman." 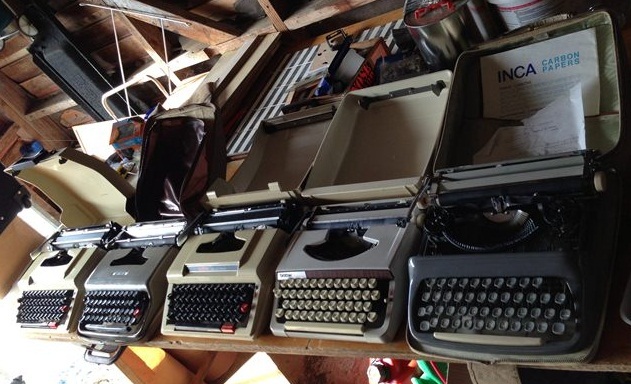 Spider's blog describes her as "Female geek, management assistant, girlfriend, sister, cat owner, typewriter collector ..."
The seller, in Mount Maungaturoto, is asking $NZ40. 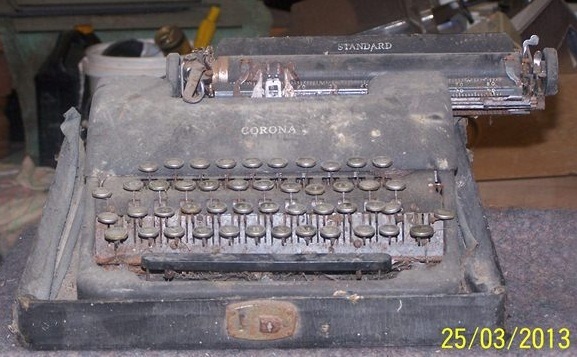 He says, "Old antique Corona Standard. Great ornament or artefact, highly unlikely to ever get going again but would sure make for a cool piece of nostalgia in a writers office or magazine or newspaper ..."
Florian ended his maschinengeschrieben blog in April but returned in June with msgschr, his new blog project. 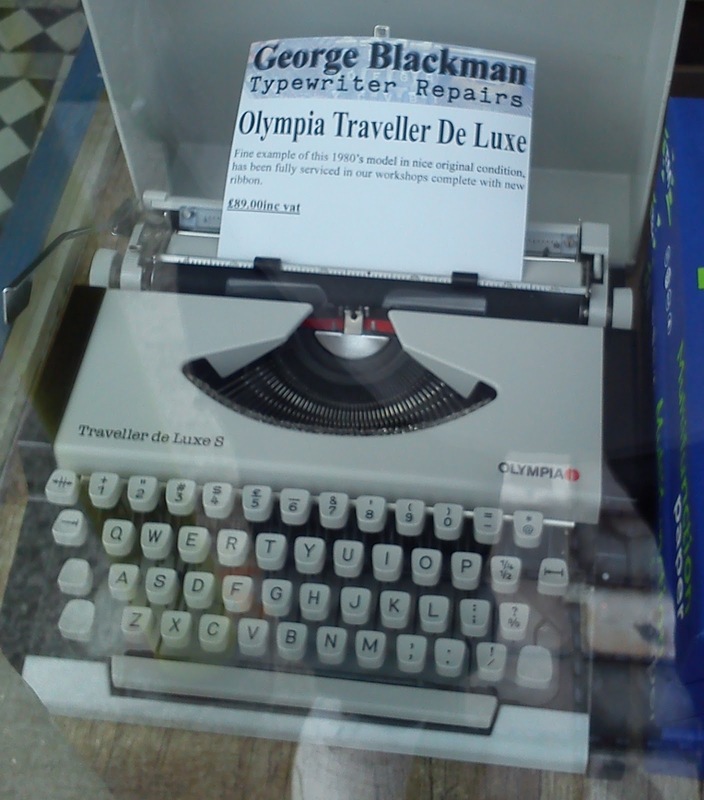 "It is still a typewriter blog, and not that much different - and yet entirely different," says Florian. 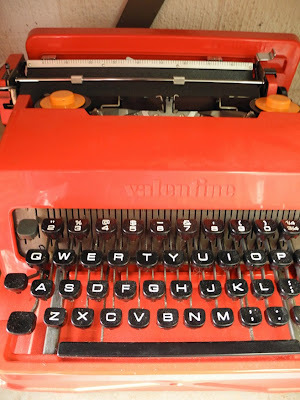 "I'm aiming for at least one weekly post, but the most important lesson I've learnt from maschinengeschrieben is that things should always be in a state of flux - rigid patterns stifle evolution. We'll see what msgschr becomes. In the first post on msgschr.blogspot.com, you may see what posts to expect in the next weeks. I'm glad to be back." Florian, we are triply glad to have you back! Australian eBay sellers, meanwhile, continue to list typewriters without images. 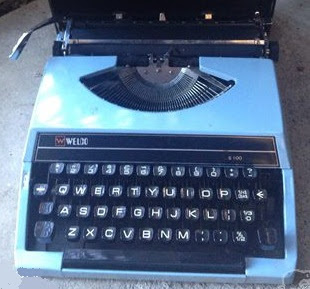 One lady wanted $50 for an Olivetti, sight unseen. She showed us the bag it came in. 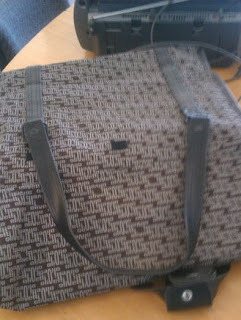 I contacted the seller, but she reckoned this was all we needed to see. 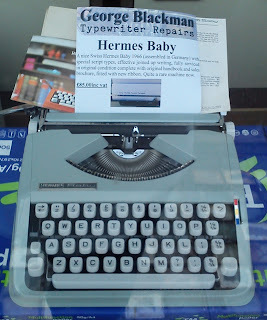 Naturally, the typewriter in the bag didn't sell. 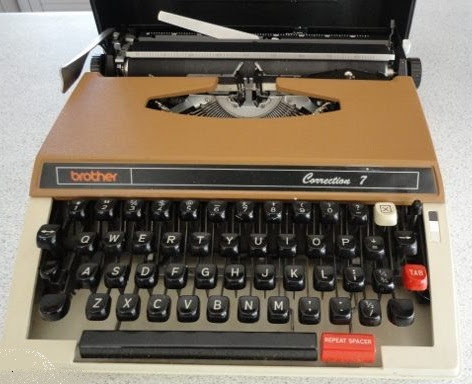 Another seller got all uppity yesterday when I said I wouldn't be bidding $50 on a typewriter I couldn't see. Are these people mad? Or just stupid? 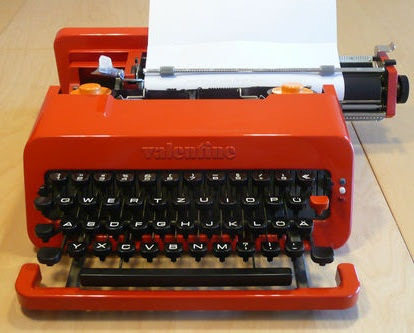 This reminds me that I was asked during the Typewriter Workshop in Sydney in late May what it would cost to buy an Olivetti Valentine in Australia these days, and I answered $400 to $450 for one in complete shape (including the front section, not always offered here) and reasonable condition. My argument about value for money on German eBay was exemplified last week when a Valentine was listed here for $395 (it got no bids) while two sold on German eBay for $A118 and $A143 respectively. Add in $A85 for shipping and you are still way out in front. What's more, it will generally be far better packed than in Australia, and will get here almost as quickly. This Underwood Champion sold for $305 on Australian eBay after 36 bids. Again, I was left way behind in the dust. But I have done OK - I now have my little purple star for more than 500 positive feedbacks (190 this year alone). 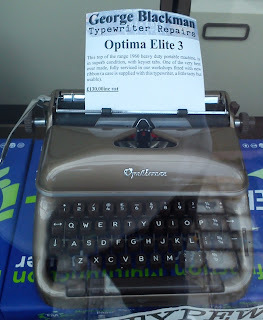 That Everest 44 is dazzling. 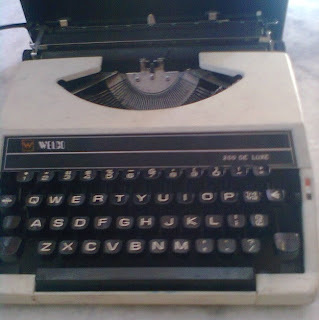 I hope someone can shed light on the origin of the Sanple/Welco/Quality creatures. Those late Rooy superflats will show up on ebay.fr every so often. What a ridiculous pseudo-ICO with a return key and "Entex" (?) 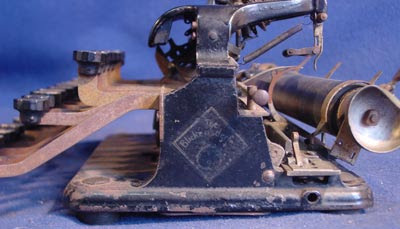 key. Scryption was a museum of writing technology in the Netherlands that went belly-up (as such museums often do) a year or two ago. Some very interesting and unique machines were dispersed. Here's hoping that July brings you healing and good news! The plastic-bodied Quality reminded me of a 1970s-vintage Brother, but I still have to find one of those myself. Some of them are interesting, but you'll get a good laugh (with a bit of sorrow) when you find the ad for a certain Oliver typewriter... $1,500 MXP, approx. 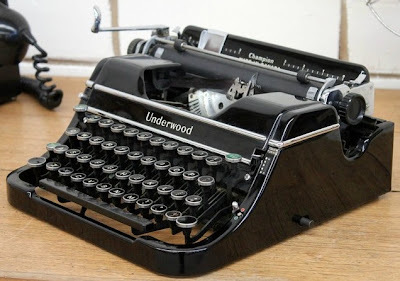 $110.00 USD; it's a basket case, completely ruined, barely worth a dime for its parts. On the bright side, the "month horribilis" is behind us now. Here's hoping your arm will heal soon, and that you'll get plenty of chances to enjoy your new typewriters. And who knows? You might find a hidden treasure or two now that you started sorting out your own typewriters. Wow! You've out done yourself with June. I love it. All those machines. 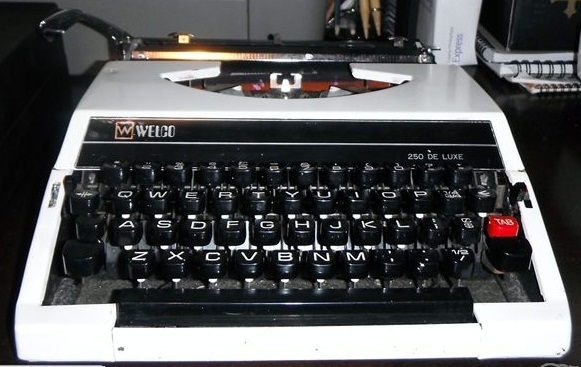 Ebay can be a real entertainment site when it comes to the typewriters. I love all your posts, but my favorites are always the ones about EBay. It gets ridiculous! Hope your elbow gets better soon, and here's to more awesome posts. Ah, you've found some of Scryption's machines! Wonderful! 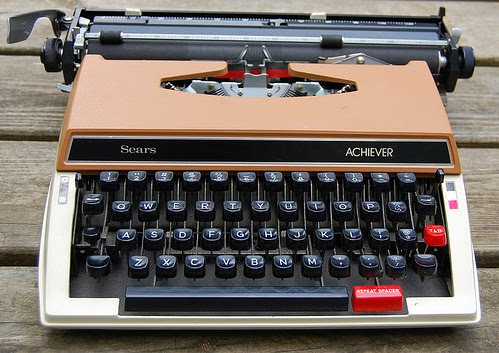 Scryption was our former museum of writing. But were cut off of funding and now the collections are for sale. 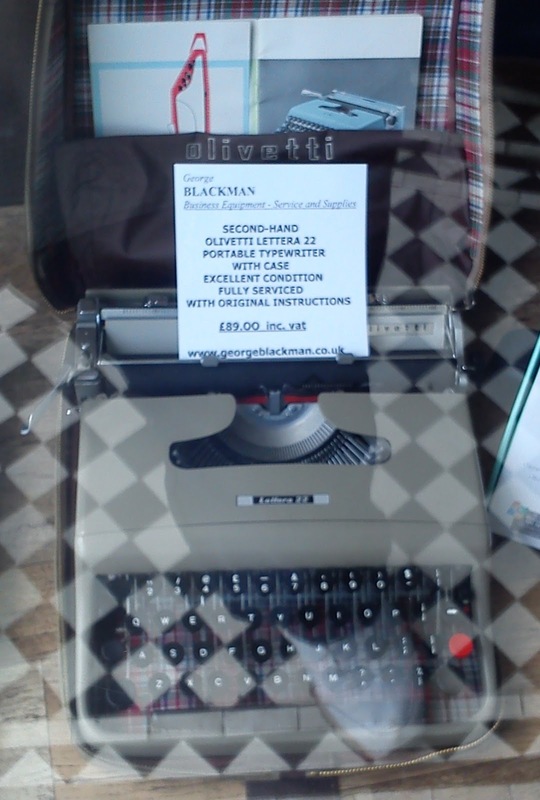 I've visited their new location and also bough a machine myself. There are lot's of pictures on my blog about this visit somewhere half-way May. 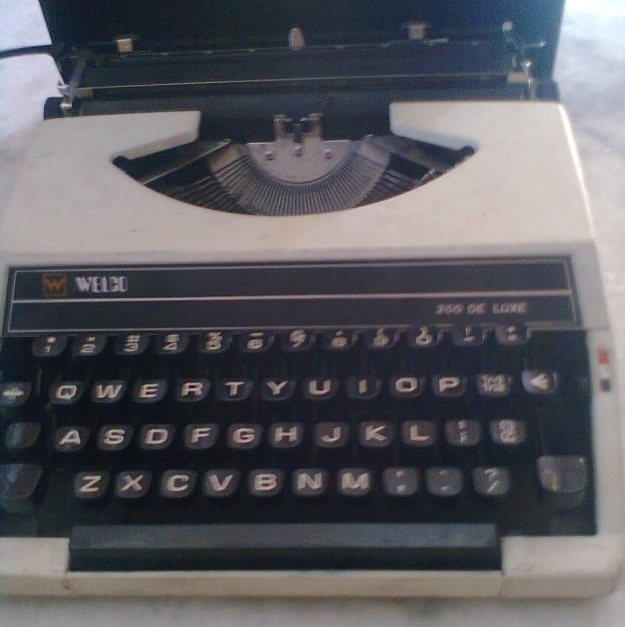 I have a Sanple 250dl that I found at a garage sale. I am looking for a new ribbon if you know what I could use, as I can't seem to find much information on them. 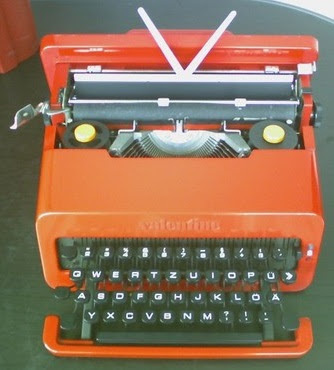 hello my name is Filippo, i'm writing from Italy. 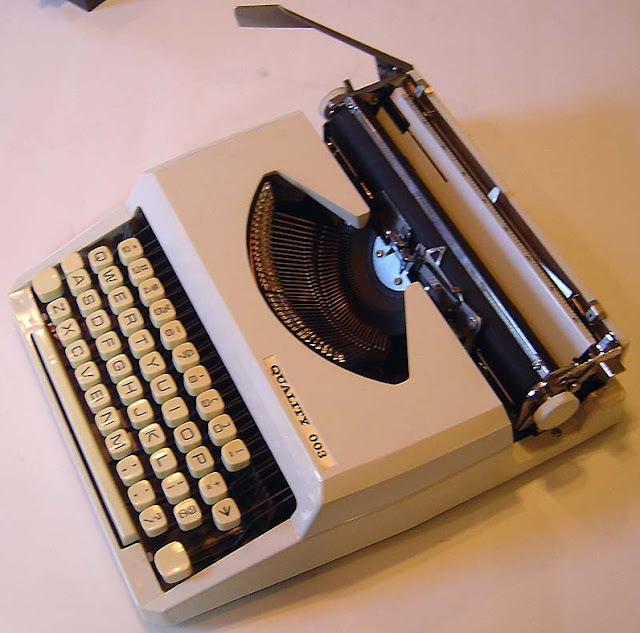 "Close to the Olivetti brand developed concurrently other Italian brands such as Serio, Invicta , SIM and Antares . 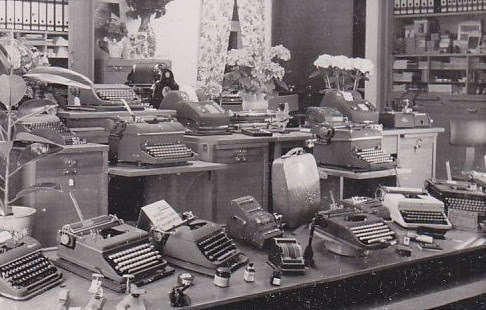 The start of production of typewriters in Crema, city near Milano, dates back to 1932 when the limited company was established Serio that the following year ushered in a new plant in Santa Maria Avenue and Mill street and began the production of the model SABB , followed shortly Mondial model and the model in 1934 Everest 42 . Just the name of the model, Everest , will be for years, the identifying mark of the factory. The thriving business location meant that in 1940 we counted 509 workers , 26 employees, 63 sales agents in Italy , and an induced consists of hundreds of mechanical fitters . In the 50s it grew to over 1,200 employees. A prominent figure in the landscape of industrial production during this period was undoubtedly represented by Elisha Restelli ( 1903-1973 ) . 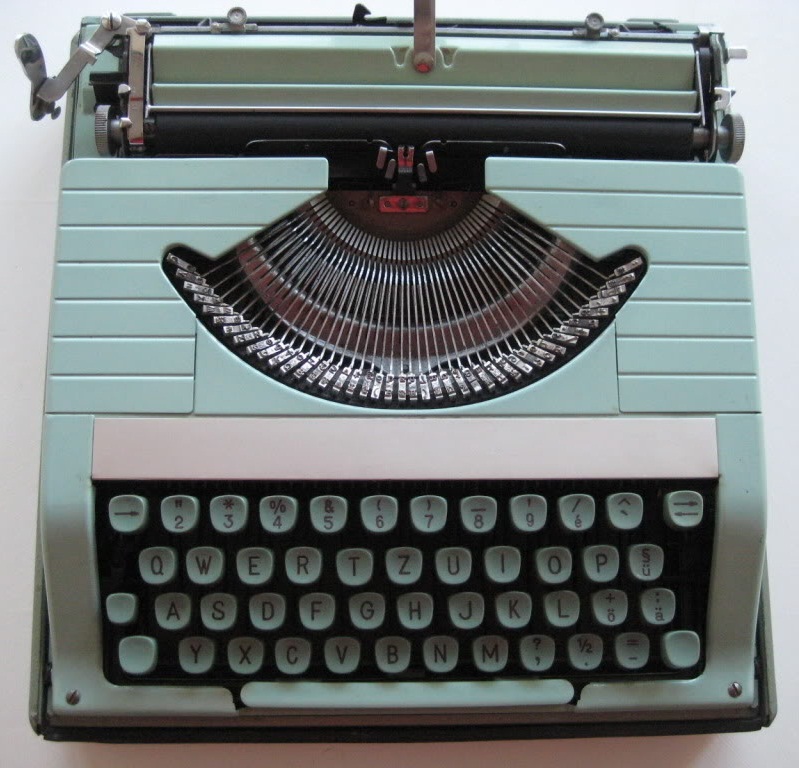 She was born in milano but she lived in Crema.Elisha Restelli called by Serio , having already gained some experience in the field of typewriters. In Creama Restelli , together with a large group of technicians , planned since the early 30's the most important models produced by Serious, both of typewriters that calculation. 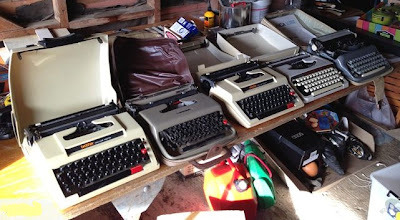 They went to projects Restelli models typewriter Everest 42 (1934) , Everest 44 with cart in height to the case (1935) , Standard (1936), basket with S100 Mobile (1937) , ST (1948) , K2 ( 1952) to the Standard Model 92 (1954)"